On Monday March 28th 2016, we partnered up with Fortune House Seafood Restaurant to share the exquisite craftsmanship and artistry of Traditional Chinese Dim Sum making with the participants of our very first Food Connections Cooking Class. At Food Connections, we believe the best way to learn about different cultures is through food culture. Because a culture’s history and traditions heavily reflected in the way food is prepared, cooked, and served. 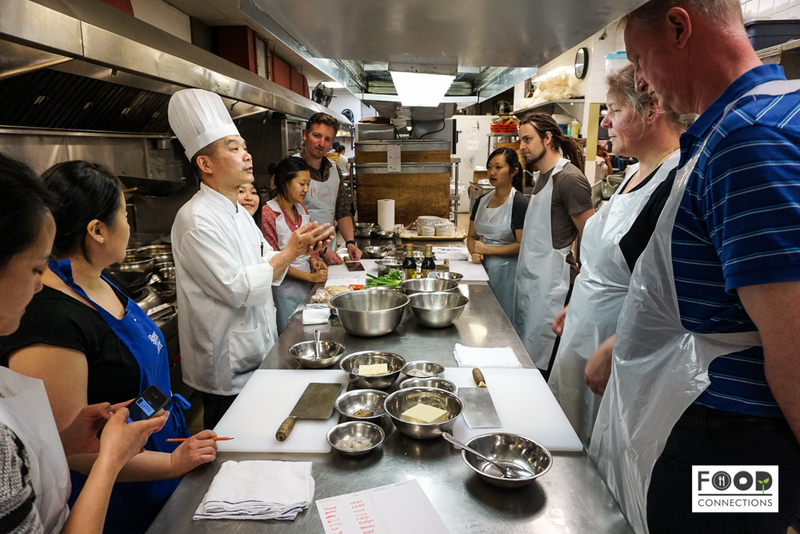 We hope to bridge our diverse city of cultures together by showcasing the distinctiveness of each one through our Food Connections Cooking Classes. Back In The Days Dim Sum. 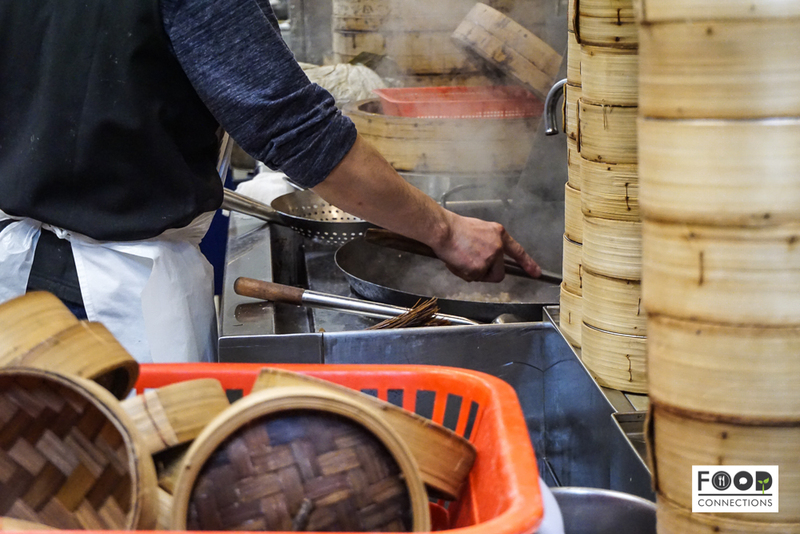 Dim Sum consists of a wide selection of small, delicate Cantonese bite-sized dishes served in bamboo steamer baskets. It originates from the ancient traditions of ‘yum cha’ (drinking tea), rooted from travelers on the ancient Silk Road needing a place to rest. Tea owners slowly took on this opportunity and began to introduce small snack-sized dishes to service alongside teas. Over time, these tea houses that were once a relaxing respite established along the roadside slowly transformed into a vibrant and lively dining experience. In Hong Kong and other Southern China cities, you will easily find elders gather for dim sum early in the morning. On the weekends, you will often find three generations of one family at the table, enjoying their favourite steamed shrimp dumplings or steamed pork buns. The direct translation of “Dim Sum” means “to touch the heart”. As a girl of Canton descent, I agree 100% with this term, because when I’m at dim sum, whether I’m there with my family or friends or strangers, there’s a sense of immediate intimacy and communion. Maybe it’s the family-style of shared dishes, maybe it’s the rounded tables, or maybe it’s the lively yet chaotic environment that reminds me of the crazy family gatherings with my cousins running around the house bouncing up and down off the walls and ceilings. Dim Sum is more than just food. Dim Sum is an experience of communion, unity, and love. Things You Can’t Get Out Of An Online Recipe. While there are hundreds of dim sum recipes and instructions online, there’s always something more you will get out of being in an actual class. Being hands-on and getting invaluable insider tips that will make or break the success of your recipe. We’ve received a lot of positive feedback from the participants and below are the top three tips participants took away from the class. How to properly use a wok and the importance of a well-heated wok for a delicious cooked Chinese dish. The importance of oil temperature control and how to deep fry with a wok. How to measure water levels for perfect, fluffy white or glutinous rice. 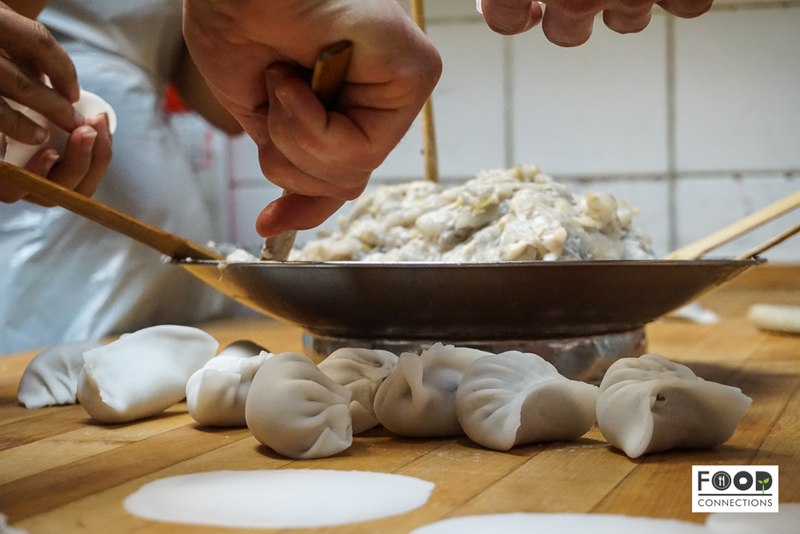 How to create the crunchy texture of shrimp in dumplings. How to make dumpling wrappers from scratch and step-by-step guidance for folding it to perfection. 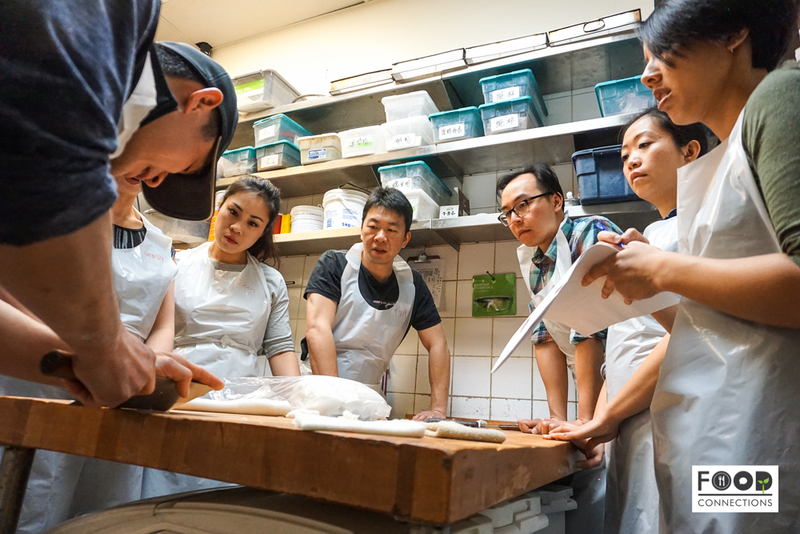 Want to learn how to make Dim Sum? Details of the Dim Sum Cooking Class. You will learn how to make 5 traditional Chinese dishes in a 3-hour hands-on cooking class led by Executive Chef of Fortune House Seafood Restaurant. Followed by a complimentary dinner provided by Fortune House Seafood Restaurant. If you’re interested in taking a cooking class with us, let us know and we’ll make it happen! Contact Elaine at elaine@food-connections.com for inquiries.